It’s been a troubled time for the iPhone maker as rumors of the smartphone’s demand declining, while the production quality of its top-of-the-line iPad may also be suffering. Here are the Thursday Apple rumors (NASDAQ:AAPL) you should know about. iPhone Production to India: The Silicon Valley giant is reportedly moving the assembly of its top-end iPhones to India through its Foxconn unit as soon as next year. This will mark the first time Foxconn will be manufacturing the product in the Asian country. The company will be responsible for the assembly of Apple’s most expensive models, including its flagship iPhone X family, which could play an important role in the tech giant’s expansion to India. Bent iPad Pros: Many units of the new iPad Pro arrived bent in the center on Christmas, which may suggest a small quality control issue, but Apple is not taking steps to fix the issue. New owners of the iPad Pro went online to show the defect on the new iPads when laying them flat on a table. 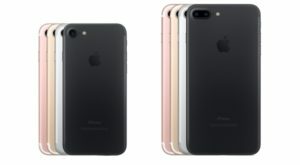 However, instead of taking the appropriate steps to fix the issue, the company said it will not ameliorate the problem, with Apple VP Dan Riccio saying in an email that the product “meets or exceeds all of Apple’s high quality standards of design and precision manufacturing.” Naturally, this issue has raised concerns regarding the production quality at the company’s manufacturing plants. Apple Watch Is Double-Edged Sword: The Apple Watch 4 has a new feature that may be capable of detecting a potentially life-threatening heart condition. While many are happy about the device’s updated capabilities, this news has led to some patients contacting doctors in the middle of the night due to health results on the smart watches that they didn’t recognize. Such an issue may lead to increased anxiety and unnecessary, expensive trips to a doctor’s office or emergency room.